← Can I create the PDF file at uncompressed format? 1. 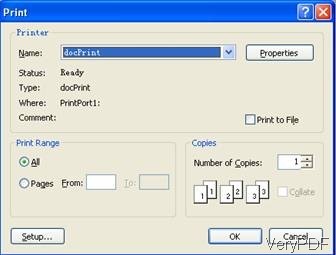 Download and install docPrint in your computer, and open the Microsoft Access document you want to print. 2. Click on the View button on the ribbon, and select the proper view option like chart view, sheet view and table view. Don’t click on the Design View, otherwise, you cannot print. 4. 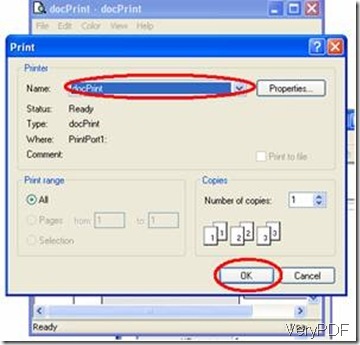 Select “docPrint” in the box on the left of “Name”, and select options like page range, number of copies. 5. Click on “OK” to start converting. 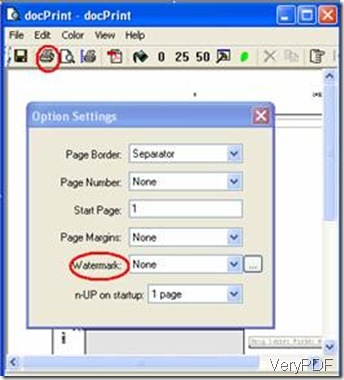 When the PDF file is ready, the print icon presenting on the taskbar will disappear. And a new panel will prompt. 6. 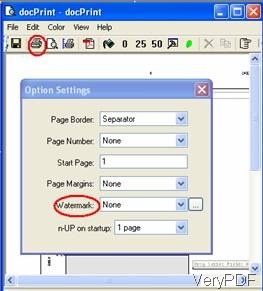 On the Option Settings panel, you can review the PDF file and add stuff like watermark, page numbers, and comments or you can select other options. 8. 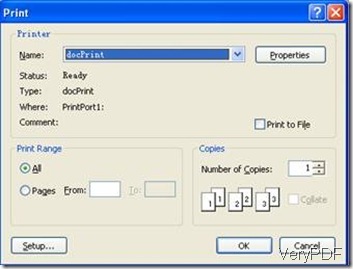 Select the name of the printer connected to your computer and press OK, and print the access file. 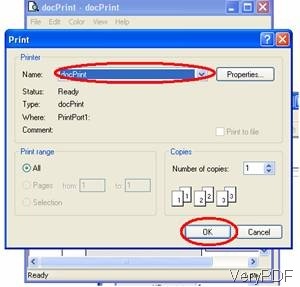 How to print Infopath document to PDF file? How to print files of AutoCAD to bmp? This entry was posted in docPrint Pro and tagged Access to PDF, document printer. Bookmark the permalink.